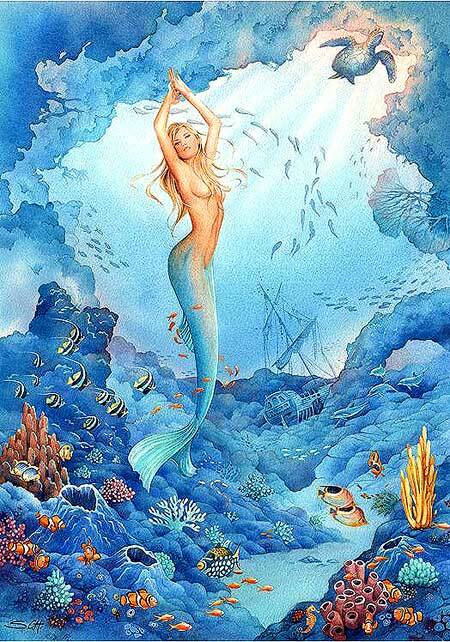 Click thumbnail to enlarge the mermaid fantasy art. 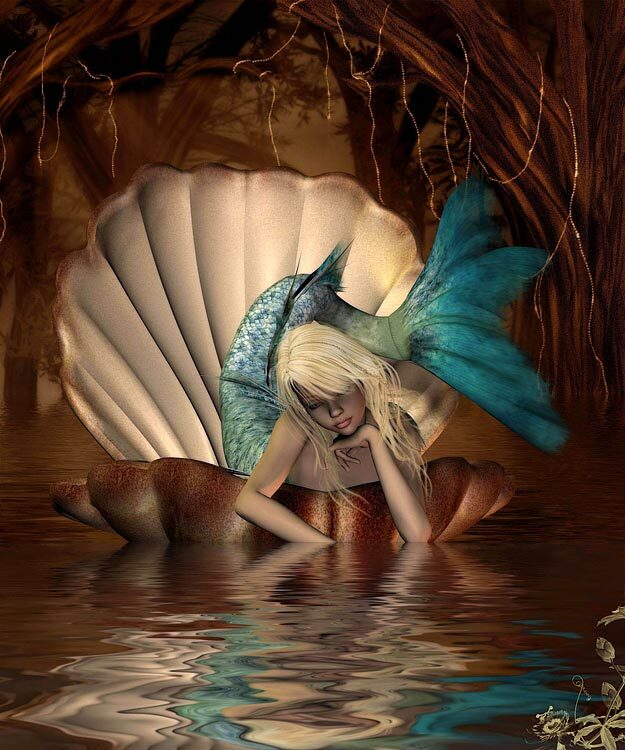 Click here for more mermaid fantasy art. 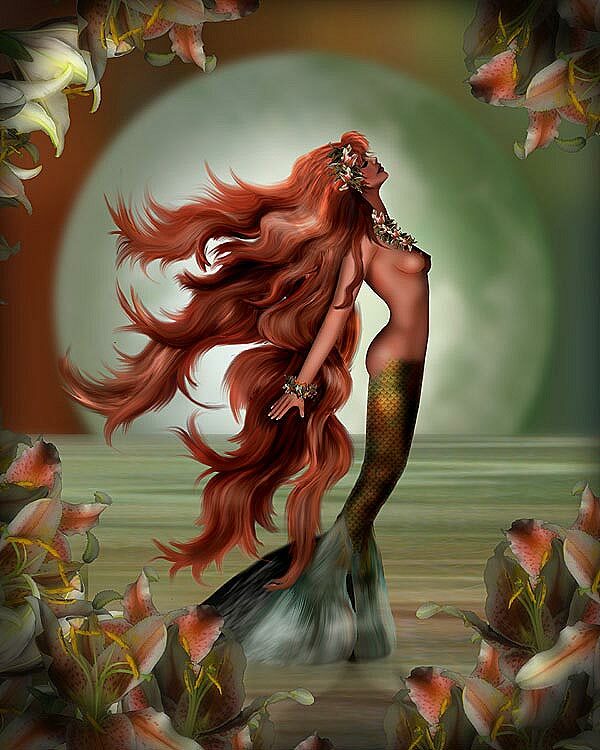 The original source for all mermaid stories is the ancient myths. 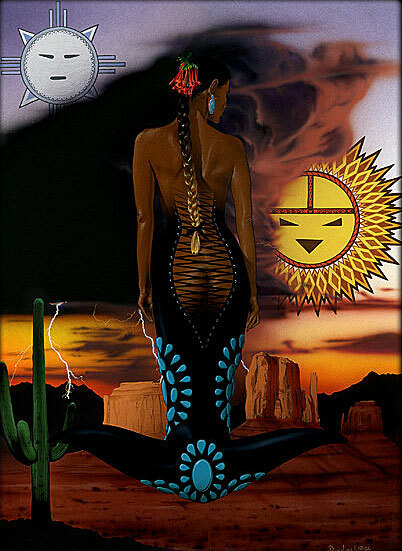 There is no way to say where they originated or if they were simultaneously invented in several different places but they soon spread around the world, to the Mediterranean and to Africa in the south and the British Isles and Scandinavia in the north. The Roman myths are derived from Greek myths, as everyone knows, but few people know that these stories went to Africa as well. 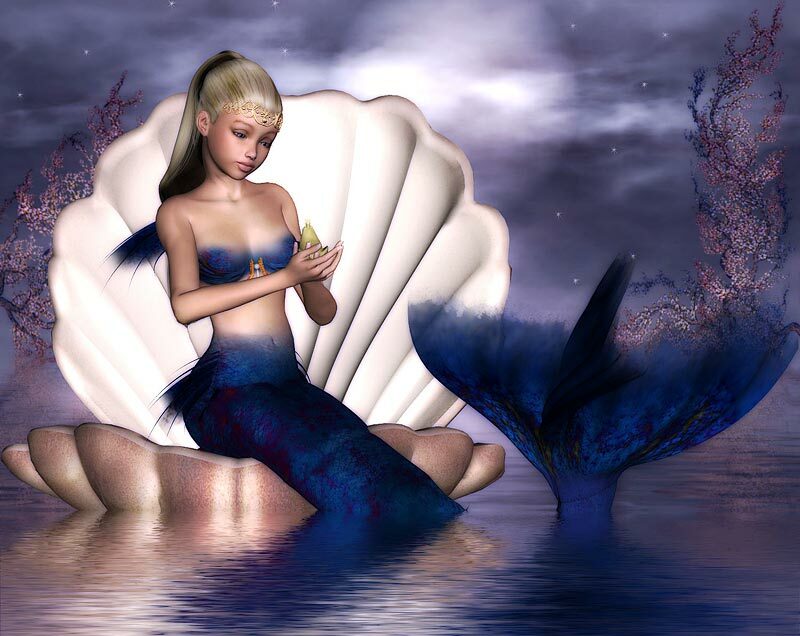 Read my page on Aphrodite and Venus, then click the link at the bottom to compare them to Yemaya. 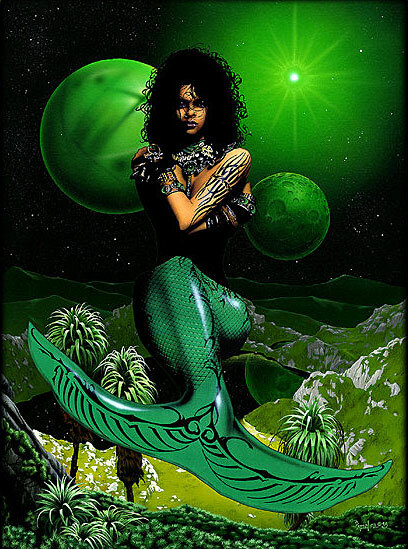 From Africa these stories jumped to Brazil and the Caribbean by way of Voodoo and Santeria. These religions are associated with devil worship and black magic because of way too many bad Hollywood movies. In reality, they are religions just like any other with both good and evil spirits.